This beautiful, full-color spread sheet has designated spaces for the 10-card Celtic Cross spread. 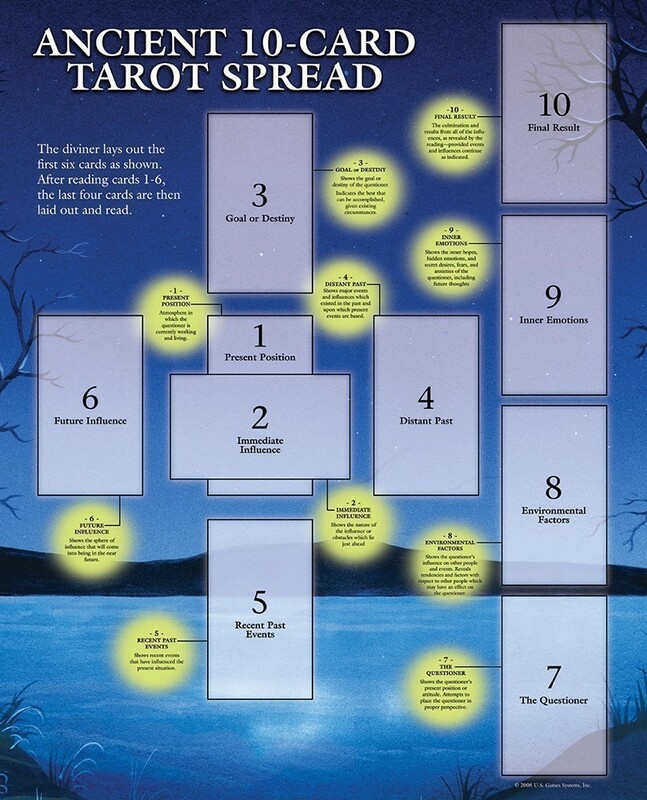 The annotated sheet facilitates readings and aids diviners at all levels of experience. Ships folded.